The lively culture and artistic vibe of Austin have made stained glass a very popular choice for many neighborhoods. If you take a walk in Old Enfield, Clarksville, Hyde Park, or anyone of Austin’s historic neighborhoods, you’re bound to see stained glass in entryways and windows of homes in the area. However, stained glass isn’t just for Austin’s older homes. Many newer style homes in Cedar Park and Round Rock also feature clear, contemporary stained and leaded glass windows. Stained glass can be incredibly stunning when integrated in the right manner. 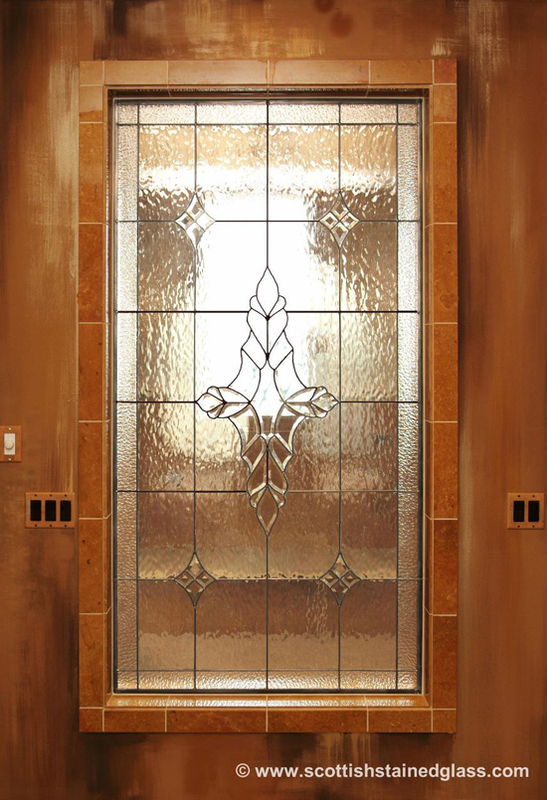 It’s subtle, yet noticeable, and makes a beautiful addition to bathroom windows, kitchens, sidelights, and transoms. And there are plenty of options to choose from too. When designing your stained glass, you get to decide every last detail, from the imagery to the colors of the glass. It’s a very customizable feature, which makes it easy to incorporate into a variety of architectural styles. Created by famous stained glass artisan Charles Rennie Mackintosh, this classic look features bright floral patterns and simple geometric designs. Modern-looking and alluring, Mission stained glass is one of the most versatile styles to work with and is characterized by thick leaded lines and highly symmetrical patterns. Bold and colorful, Art Nouveau stained glass is every nature lover’s dream. Curved lines, floral patterns, and nature themed imagery give these stained glass windows a very distinct, beautiful appearance. Vibrant colors, abstract patterns, and an abundance of curved lines make Art Deco the perfect choice for lovers of contemporary art. 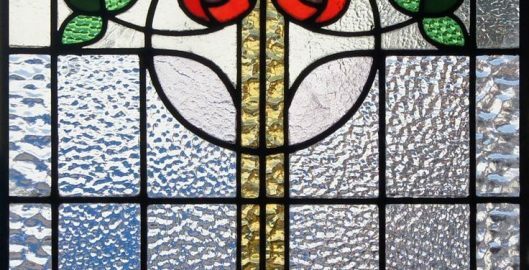 Stained glass with bevel clusters or clear glass in the shape of Celtic knots are unique and alluring in their simplicity. Frank Lloyd Wright inspired or “Prairie Style” stained glass is one of the most popular choices for craftsman homes and bungalows. Earth tones and subtle patterns make this style of stained glass an intriguing addition to cabinets, entryways, and more. 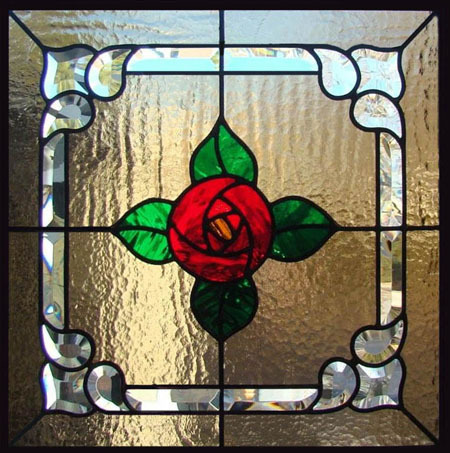 Bring light and beauty to your home with a custom stained glass window. 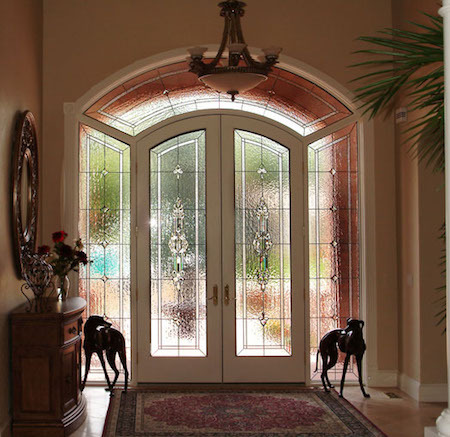 Call Stained Glass Austin today to browse different styles of stained glass for your Austin area home. StainedGlassAustin.com is a branch of Scottish Stained Glass. See our owner Martin Faith on one of his HGTV appearances.